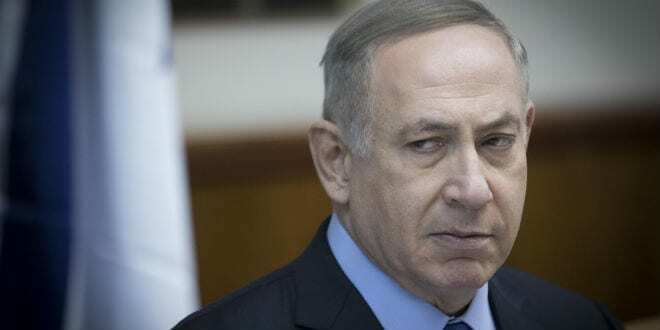 Israel: Fed Up With United States Trickery, Netanyahu Takes Drastic Actions – Coercion Code – "Dark Times are upon us"
After US President Barack Obama revealed his true colors by refusing to veto a vehemently anti-Israel resolution at the United Nations Security Council (UNSC) last Friday, thereby breaking more than 35 years of US policy, Israel’s Prime Minister Benjamin Netanyahu responded in kind by showing his indignation with Israel’s typically steadfast ally. Seemingly overnight, Netanyahu lashed out at the United States and other countries who joined in the UN anti-Israel hate-fest, an appalling display of what Netanyahu once called, “a moral farce”, and “obsessive bias against Israel”. In what may be an unprecedented stage in Israel-US relations, Netanyahu placed the bulk of the blame on the United States. Specifically, on outgoing President Barack Obama who used the opportunity to take a parting shot at the Israeli Prime Minister. “We have rather ironclad information from sources in both the Arab world and internationally that this was a deliberate push by the United States and in fact they helped create the resolution in the first place,” David Keyes, spokesman for Netanyahu, said on Fox News. The resolution condemns Israeli construction in the Biblical heartland of Judea, Samaria and Jerusalem, identical to the very agenda the Obama Administration has pushed since the president took office in 2009. During a meeting with several members of Netanyahu’s own Likud party, the prime minister warned them of potential further actions Obama might take against Israel before he leaves office on January 20. Netanyahu was quick to follow through with his threat. His first move was to summon the ambassadors from China, France, Russia, the United Kingdom, Angola, Egypt, Japan, Spain, Ukraine and Uruguay. In short, the ten countries that voted in favor of the resolution that have established diplomatic relations with Israel. 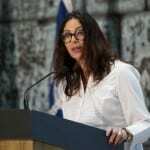 The Israeli Foreign Ministry spokesman Emmanuel Nachshon said the Prime Minister expressed his “deep anger and dissatisfaction as a result of the vote of countries that consider themselves friends of Israel”. Netanyahu also instructed cabinet members not to meet with representatives from countries that supported the resolution and to avoid all forms of travel to these countries. The Israeli prime minister also lashed out at the UN itself. “I instructed the Foreign Ministry to complete within a month a re-evaluation of all our contacts with the United Nations, including the Israeli funding of U.N. institutions and the presence of U.N. representatives in Israel,” Netanyahu said Saturday night in a televised statement. “I have already instructed to stop about 30 million shekels ($7.8 million) in funding to five UN bodies that are especially hostile to Israel… and there is more to come,” he declared. Four countries that voted for the resolution do not have permanent ambassadors in Israel and were therefore spared the Prime Minister’s ire. 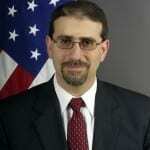 The United States outgoing Ambassador Dan Shapiro, however, was not so fortunate. He was summoned to the Prime Minister’s office for “clarification”. There has been no official statement disclosing what was discussed. Moreover, Israel’s Foreign Ministry published a Tweet that the government had “ordered the cancellation of the planned visit to Israel of the Senegalese foreign minister in three weeks,” and “instructed Israel’s ambassadors in New Zealand and Senegal to immediately return for consultations”. The Foreign Ministry also announced the cancellation of visits to Israel by the non-resident ambassador of Senegal and the Senegalese foreign minister. Israel has longstanding relations with the mostly-Muslim Senegal, a drought prone country that has benefitted greatly from Israeli agricultural technology.